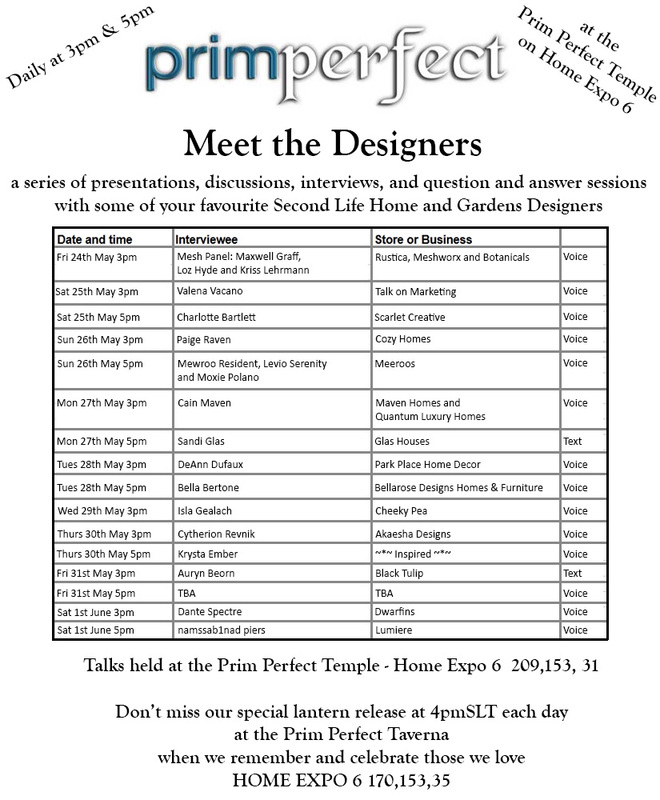 Prim Perfect Talks at the Home and Garden Expo – Marketing and Mesh topics for today’s talks! Today we have two great people for the talks – Valena Vacano, the Manager of Cheeky Pea and The Nest, and Charlotte Bartlett of Scarlet Creative. 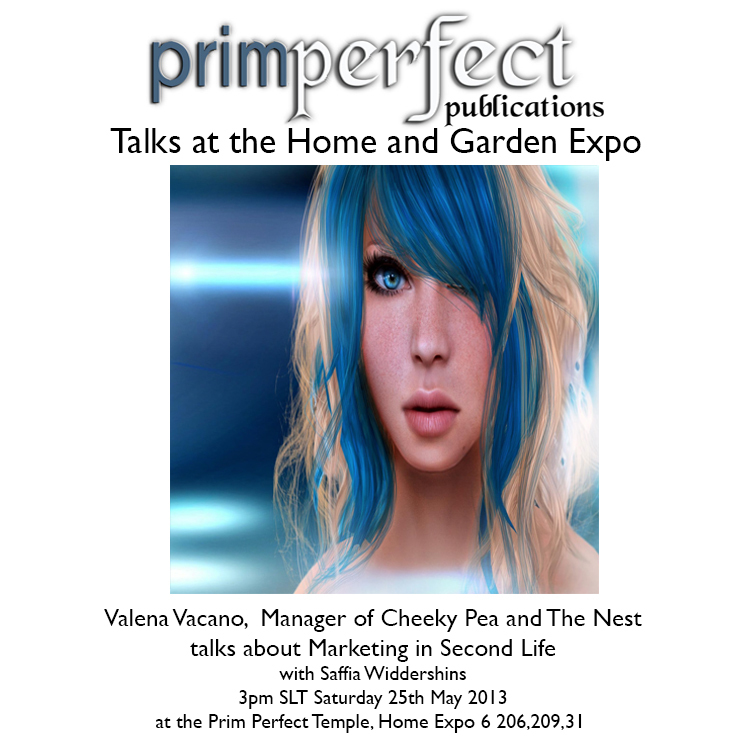 Valena will be speaking to Saffia Widdershins at 3pm, and she’ll be talking about Marketing in Second Life, drawing on her experience not just as Manager for one of the major furniture design stores in Second Life – Cheeky Pea, but also as manager of The Nest. 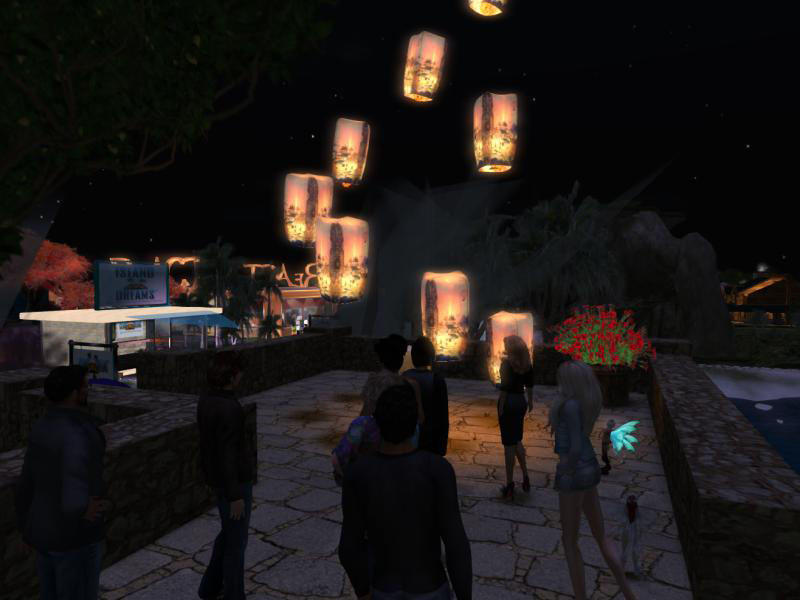 a region that has been geared towards special events and stores. This should be a very valuable discussion for people eager to get there word out! 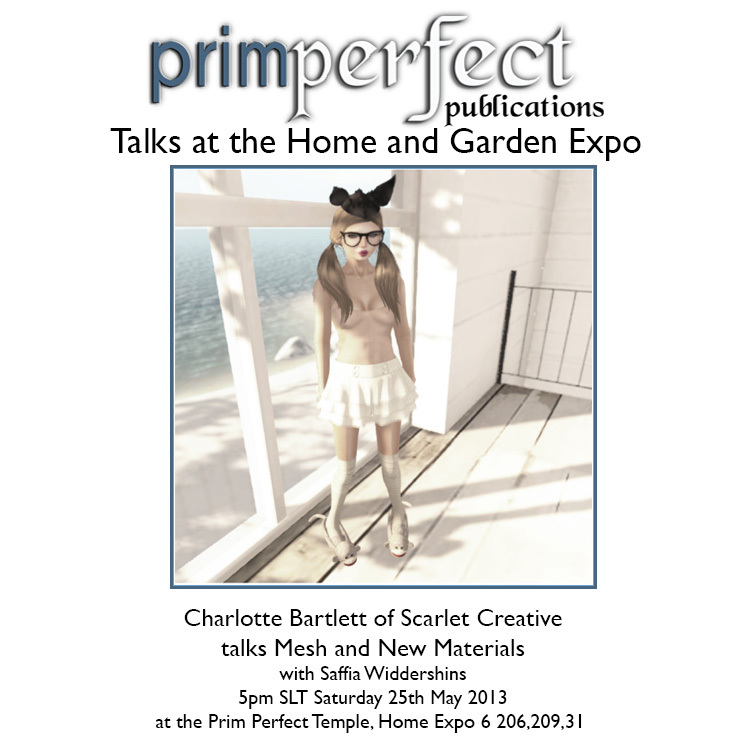 Then at 5pm Charlotte Bartlett will be talking to Cinders Vale about Mesh and New Materials. This was the subject of some lively discussion last night – and we’re sure that Charlotte, one of the leading creators of homes and furniture, while have plenty to say – and plenty of ideas too!